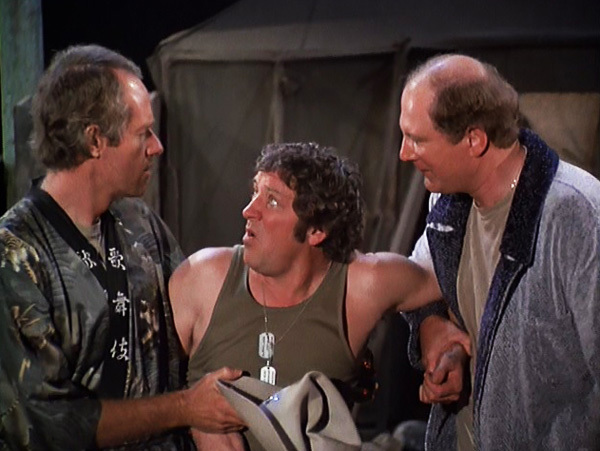 TODAY WE COVER Season 6 Episode 22 "Temporary Duty"
PLOT SUMMARY: Colonel Wheatley of the 8063 wants each of the M*A*S*H units to observe methods of the others. Hawkeye and Lt. Bigelow are spending a week at the 8063 while a chest cutter named Dupree and Nurse Anderson spend a week at 4077. Capt. Lorraine Anderson is an old friend of Margaret, Army brats who grew up together. Capt. Roy Dupree is an Arkansas hillbilly; naturally he is too far beneath Charles to notice but Roy even annoys the placid BJ. Lorraine finds Margaret has changed; Margaret is upset when Lorraine tells stories of their "old days" to the officers.